We still have a long ways to go until PacSun’s Black Friday 2019 sale arrives. But you can scroll down the page to check out the details from their last Black Friday sale to get an idea of what’s likely to come. Enjoy! BOGO 50% off site-wide, plus BOGO Free Denim. Free shipping offered online orders. Offer valid November 21, 2018 at 12:00 AM PST through November 23, 2018 at 11:59 PM PST. Get 30% off site-wide with free shipping for online orders. Offer valid November 24, 2018 at 12:00 AM PST through November 24, 2018 at 8:59 PM PST. Get 50% off site-wide with free shipping for online orders. Offer valid from November 24, 2018 at 9:00 PM PST through November 26, 2018 at 11:59 PM PST. Get 30% off site-wide with free shipping for online orders. Offer valid From November 27, 2018 at 12:00 AM PST through November 27, 2018 at 11:59 PM PST. 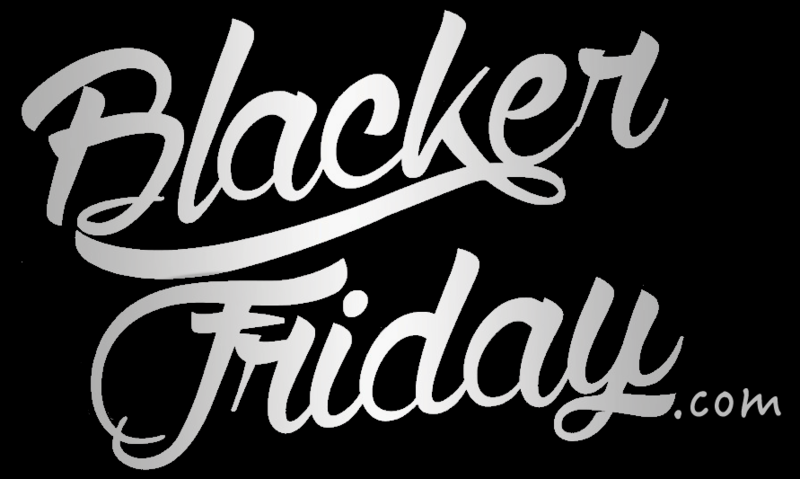 What do you plan on picking up during this year’s Black Friday sale at PacSun? Will you be shopping online or at the mall? Let us know in the comments (you’ll find the comments section located at the bottom of this page). Nov. 20—28: Take $5 off your order of $25 or more with coupon code CYBERWEEK5. This is an online exclusive offer. Nov. 22 (9:00 PM PST)—Nov 25 (8:59 PM PST): Buy-one get-one 50% off sitewide. If you’re buying denim then it’s even better at BOGO free. Free shipping with no minimum purchase also included. Nov. 25 (9:00 PM PST)—Nov 26 (8:59 PM PST): Get 30% off site wide and free shipping. Nov. 26 (9:00 PM PST)—Nov 28 (11:59 PM PST): Get 50% off site wide and free shipping. As always, terms and conditions apply so see site for official details. Also, these online deals may vary from those offered in stores. Some items will be excluded. Times, offers and dates can change without warning so be advised. Good luck! Updated November 21, 2016: If it’s time to stock up on some new skate or surf apparel for the holidays, then get ready of PacSun’s huge Black Friday sale starting on Thursday morning online (that’s on Thanksgiving day!). Nov. 24 starting at 9:00PM PST to Nov. 26 at 8:59 PM PST: Buy 1, Get 1 50% off the entire store. Nov 26 from 9:00PM PST to Nov 27 at 8:59PM PST: Get 30% off site-wide on just about everything you get. Nov 27 from 9:00PM PST to Nov 28 at 11:59PM PST: Save from 30% to 50% off the entire online store. Nov 29 from 12:00AM PST to Nov 29 at 11:59PM PST: Get 30% off site-wide. As always, certain restrictions and exclusions will apply so see store for full details. Happy Thanksgiving folks! We’re getting all the last minute deals in to us, and one of these now is PacSun. But read carefully because there are few sales going on concurrently. We will try to give you a simple summary of all of them so get ready…and go! BOGO events: Almost entire store is having a buy one get one 50% off sale that includes free shipping. But be aware that this related only to the full-priced items and excludes markdowns, gift cards and select brands. Jogger and denim pants are also on BOGO sale but this time it’s buy one get one FREE plus free shipping. Additionally, men can enjoy flannels and plaids and elevated basics (like tees) for buy one get one free while women deals include flannel and plaids at $15 and leggings for $10. Remember that all online orders above $50.00 will also ship for free. Sale ends on Friday, November 27, 2015. Are you ready for all the Black Friday deals coming to you this Thanksgiving weekend? Are you storing energy for some serious shopping? If the answer is yes, Pacsun has some nice deals waiting for you but, in contrast to other stores, their sale is quite short so make sure that you hit their stores first if you plan to shop there. Black Friday exclusive deals last only until noon on November 28th. All of the above BOGO deals sound interesting yet there is a rather disturbing catch written in the fine print related to these promotions (you can see that below). The Pacsun deal is gender specific!!! The BOGO deal is on items that are the same gender meaning you buy mens designated denim, you get the second pair of (but not woman) men’s denim free of equal or lesser value. This is the first time we see such restrictions in the promotions. Weird or interesting? What do you think? Search for the nearest PacSun store in your neighborhood. If you have order related questions or need product return assistance then you can contact PacSun Customer Service by phone weekdays at 1-877-372-2786 (open 7:00AM to 6:00PM PST).